Wales Mclelland Show Their Support At Our Building Site. Reach Foundation Chair Denis Horgan, Renie D’Aquila, Reach ED and Doug Scott, President of Wales McLelland at the new building site. 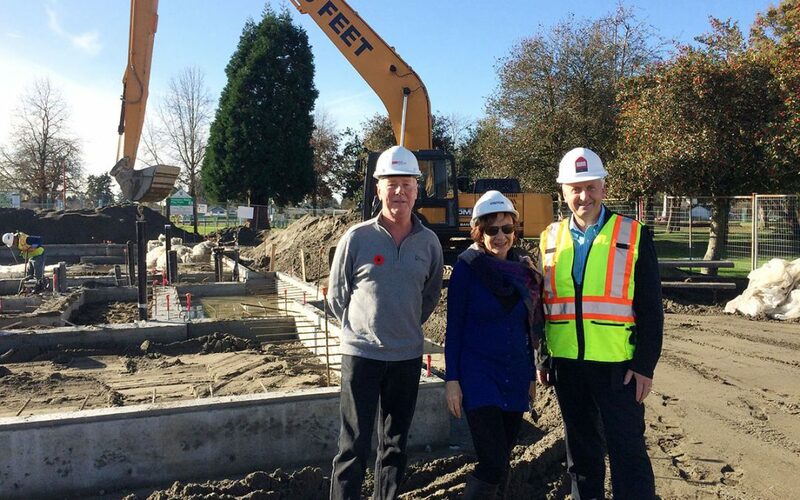 Wales McLelland, a Reach donor, is constructing Reach’s new child development centre scheduled for completion in September 2017 in the heart of Ladner.